Dear valued customers, We at JCS Musical Instruments understand the anticipation and frustration in attaining custom made and hot rodded guitar parts of this caliber. We believe our parts and products that we endorse to be of the highest quality and think you will agree. 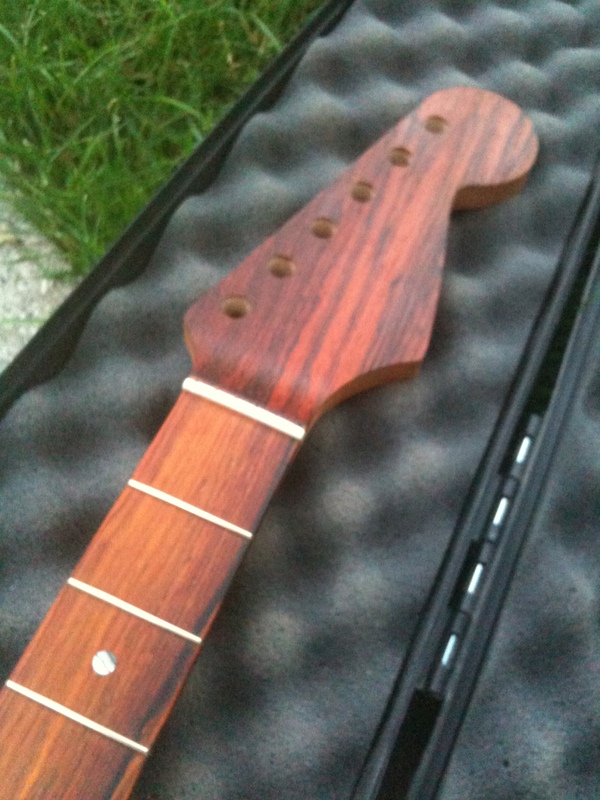 We will be posting more necks shortly, so please check back soon! You may be surprised to see what’s next! On a special note, I would like to thank all of the repeat customers for their patronage, vision and dedication to the craft also the design and build. If it were not for you, we would not be able to keep the company alive! You haven’t seen anything yet. Open your minds, fasten your belts and hold on tight, I assure you, it is going to be one hell of a ride! Hey Jim, my name is Tim Vestrand, I live in Berkley. I was told about you by Dana @ Berkley Music. I am looking to get a tele neck and he told me you were the guy to talk to. I don’t need anything special, probably an ebony fingerboard, vintage shape, preferably an unfinished headstock. Throw me some prices and Ideas if you have a chance, I prefer to buy locally. Sorry to get back so late Tim, Just found your comment on the blog. Trying to get a presence on the web. I love to build Tim but I am heavily involved with a special needs family member and am having a hard time getting back in the shop for any reasonable amount of time. My customers have a 6 months or longer wait time. Best to you and yours and have a happy holiday!